Oh, and they’re both signed by Marty Stuart himself. Drop us a line at Contests[AT]CountryMusicPride.com or leave a comment here. Tell us your favorite Marty Stuart song, album, or moment from the man’s stellar career thus far. Include your email address so we can notify you if you’re one of the two lucky winners. We’ll announce that very soon so enter now! 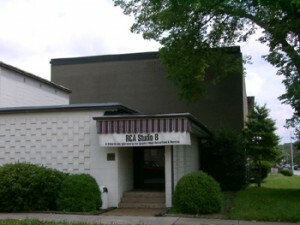 Recorded at the legendary RCA Studio B in Nashville where, at the tender age of 13, he played mandolin and recorded with Lester Flatt, Ghost Train is Stuart’s return to hard-hitting country music. Far from a sentimental look back or a retro-country album, this is a modern-day icon adding to an already impressive musical structure atop the foundation of past masters. Stuart is well known as a walking encyclopedia of country music’s history, and on Ghost Train he displays his supreme talent in all styles, and his love for this music. Other gems are the Ray Price classic “Crazy Arms” (also co-written by Mooney, who struts his pedal steel skills), “Porter Wagoner’s Grave” (he and the late Wagon Master were close friends), and “Hangman”, which Stuart wrote with Johnny Cash just four days before Cash died. And then there’s the music. Oh, you lucky winners, you! I would love a copy of the CD Ghost Train, I saw Marty in Nashville in 1993. Been a fan a long time. Ole my goodness, I have so many favorites! All of Marty’s songs are great, but if I had to pick just one, it would be…That’s What Loves About. Thanks for the chance to win a great CD from a great artist. I would love to be a winner. I have known Marty since he was 13 playing for Lester Flatt as they used to come to our place of business and do bluegrass festivals! He is friend and try to see him when I can. Last time was in Branson, MO last year. I have so many wonderful Marty moments it’s hard to pick just one. Maybe the first time I got to see him in person at Billy Bob’s in Fort Worth Texas. The best country music show ever! That was in 1990, and I’ve been a hugh fan ever since. Keep the REAL country coming. Always glad to hear about new stuff from Marty! I can’t wait to purchase a copy of this Album. I knew how great it would be before I ever heard a track of it! Thanks so much Marty for keeping the music alive. My wife and I love your music/writing/talent and everything you do to promote traditional Country music. Keep on keepin’ on! Muah! I know it’s obscure, but I love when Marty covers the old gospel – my favorite being The Unseen Hand on the Gaither Bluegrass series. Marty has had many great moments, but one of my favorite memories is the No Hats pay-per-view. Alright, so I confess…I have only been a Marty Stuart fan for a season. But lemme tell you, what a season it’s been! The man writes about sin, falling from grace, redemption, and true love. And that’s just a start! Just saw him this summer at the Grand Ole Opry and my husband and I were blown away by his gift of music and truth. The man cuts to the quick! Stuart is not only a great musician, but a great example of the power of love to transform a person’s life. Thanks, Marty for your music and thanks to Awaiting for the Flood for the chance to score his new album. Stuart is truly one of America’s great treasures. My husband and I see Marty every time he plays within 300 miles of Hartsdale, NY. We have become friends and big fans. After my father-in-law pased away in 2007, Marty sang “High on a Mountaintop” and dedicated it to my husband in memory of Dad. That was special to us in so many ways. Marty is the best and a wonderful person. We will see him 8/30 in NYC. Can’t wait. Being that I’m a Marty Stuart fan from way back I love all his albums and songs. However, if I had to pick a favorite song it would be Branded from his new CD. This new album looks to be one of his best and I’m very glad he is keeping the heritage of country music alive. Soul Chapel is by far my favorate album but The Pilgrim gets played a lot too. I have been a fan for a long time. One of the best live performances was Marty singing Ring of Fire for a Johnny Cash tribute show. There’s a lot to like about Marty Stuart, but one of my favorite things is his commitment to preserving the past of country music. I love that he continues to tour with Clarence White’s famous b-bender Telecaster, rather than putting it under glass. Marty produced Porter Wagoner’s last album, which I thought was really classy. And no one pulls off a Nudie suit better than he does! Can’t pick just one favorite. Marty’s songs are all great. I LOVE Marty Stuart, everything he sings is fantastic, the Souls Chapel album is my favourite. My favourite song from this album is “I can’t even walk”. The lyrics are wonderful and it is sung with true feeling! Eleven years ago the song “Tempted ” had everything to do with me marrying the love of my life. We were riding around in my pickup and I put in Marty’s tape. When she heard Tempted she started crying and said she was in love with me. We were both going thru the big Divorce at this time. Thanks to that song, I ended up with the love of my life. I’d have to say my favorite Marty Stuart song is “Miss Marie & The Bedford Blaze” from the excellent country trucking song compilation album “Rig Rock Deluxe”. Its just a great story song and Marty does a fantastic job performing it. I have been a fan of Marty Stuart’s for about 25 years. I have never ever had the chance to go to one of his concerts. Have most of his albums that I have gotten from thrift stores and yard sales. Just listening to the 3 clips above makes me really want this one. All my time is spent between a full time retail job and helping care for invalid parent. Things are tight and Marty’s music soothes my soul when I am at the end of my rope. Thank You Marty for your heart felt music. It’s my salvation during these hard times as is the Lord. God bless you. I loved seeing Marty at Hardly Strictly Bluegrass in San Francisco last year! What can I say???? I love his music. He’s a great entertainer and I attend his Marty Party Benefit every year during Fan Fair. A few years ago he had Porter Wagoner on the show and I took a picture of him. Unfortuanately Porter passed away later that year so I framed the picture in a (rinestone frame) very fitting for Porter….and gave it to Marty the following year. Marty was touched and told me I did a beautiful job on the picture….this coming from the gifted photographer himself meant the world to me. He and Connie always stay and sign autographs after every show no matter how long it takes…. and believe me it takes hours….we need more people like him in this world. I am a huge Marty Stuart fan! I go to hos Late Night Jam in Nashville every June! He is the consummate Country Music star and knows people in every facet of the music industry! His band with Cosin Kenny Bone and Handsome Harry,well they are Superlative! I think Marty is one of the best singers,musicians, and entertainers alive today regardless of genre! We were at the Belcourt show amd will say this is definately a “DO NOT MISS THIS SHOW” under any circumstances situation!!! You will not be sorry and bring a friend and turn them on to Marty and this great band. Marty Stuart has provided many hours of pure country listening enjoyment to me over the years – my favorite is “Now That’s Country”. 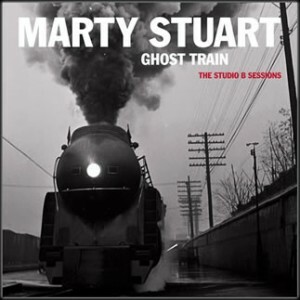 Cheers to Marty, and I hope that I am the lucky winner of the Ghost Train: The Studio B Sessions cd. I love Marty’s Hillbilly Rock and Tempted albums. Just adore rockabilly-inspired tracks as well. I was too young to see Marty when he was Johnny Cash’s guitarist. And from what I gather, he hasn’t been to Australia on a solo tour. Will just have to save up and visit Nashville! Love, love, love Marty and Connie. The album is wonderful in every way. I’m so happy Marty is still out there performing and recording. May I simply say what a relief to uncover a person that really understands what they’re discussing online. You definitely know how to bring an issue to light and make it important. More and more people must look at this and understand this side of your story. I was surprised you’re not more popular because you most certainly possess the gift.